Nokia 9 PureView could launch in India, suggests a new teaser by HMD Global. The teaser video showing off Nokia 9 PureView camera samples was posted on Nokia India's official Facebook page. Nokia 9 PureView could launch in India, suggests a new teaser by HMD Global. The teaser video showing off Nokia 9 PureView camera samples was posted on Nokia India’s official Facebook page. An exact launch date is unclear at this point. To recall, Nokia 9 PureView with world’s first penta-lens camera was launched at the Mobile World Congress 2018 in February along side Nokia 3.2, 4.2, Nokia 1 Plus and Nokia 201 phones. It is unclear if HMD Global plans to bring the other phones to India as well with Nokia 9 PureView or at a later stage. Previously, Ajey Mehta, VP and country head, India, HMD Global confirmed to Indianexpress.com that the company is looking at bringing all five phones to India. Nokia 9 PureView is priced at $699 in the global market, which is around Rs 48,121 on conversion. “The exact price we will announce at a closer date of launch. Of course, it has been declared at a global price of $699, roughly where it is likely to land in India as well,” Mehta said in February. Powered by Qualcomm Snapdragon 845 processor, Nokia 9 PureView is world’s first five-camera smartphone. 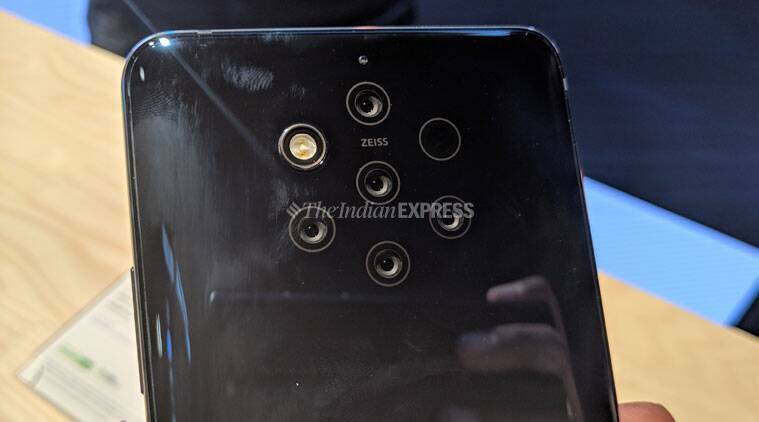 The device has five ZEISS Optics 12MP sensors (f/1.82), where three are monochromatic and two are RBG sensors along with PDAF focus. The shots taken are saved in RAW DNG format and retain details that get lost in JPG or JPEG files. Nokia 9 PureView features a 5.99-inch pOLED QHD display with 2K resolution and Corning Gorilla Glass 5 protection. The device has a 20MP front-facing camera, 6GB RAM, 128GB internal storage, an in-screen fingerprint sensor, a USB Type-C port, 3,320mAh battery, certified IP67 for water and dust resistant, runs Android 9 Pie, and supports Qi wireless charging.